This totally mesmerising footage shows the moment more than 10,000 starlings filled the sky in front of a handful of stunned onlookers. The huge flock of birds – known as a murmuration – were captured on film by photographer Neil Pledger at dusk last Saturday (18/2). The 48-year-old, who lives in Mansfield, Notts., witnessed the spectacular acrobatic display in Staveley, Derbys. 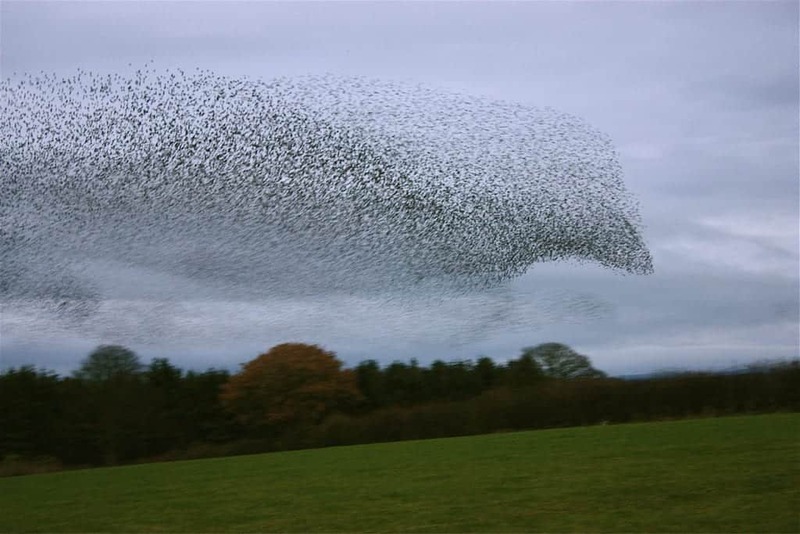 The two minute clip shows the birds making a range of mesmerising shapes on the grey sky. Experts remain unable to explain the natural wonder but theories ranging from it being a defence mechanism against predators to simply attracting more birds to their roost.